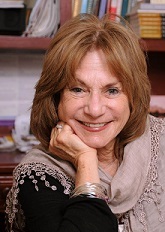 Your Knots are in my Soul – Judith Ruskay Rabinor, Phd. Establishing the trust needed for deep affect work requires that the therapist’s sense of self be engaged…the patient cannot be expected to rapidly open up to a therapist who remains hidden and shielded. The emotional atmosphere should be one in which the patient feels safe and the therapist brave. The patient’s sense of safety within the therapeutic relationship is enhanced in part by the therapist’s risk taking (Fosha, 2000, p.213). Several years ago I received an unusual request. Alyssa had completed her junior year at a prestigious university and identified herself as a recovered anorexic seeking “just a check up—or a check-in.” When we met for our first session, she voiced her concern: recent “fat attacks” had appeared, seemingly from out of nowhere. She worried she was being pulled back into her eating disorder. She assured me she was neither starving nor binging and vomiting and yet, “feeling fat” and obsessed about her weight unnerved her. Could she be relapsing? I was delighted to meet this reflective young woman, and we agreed to meet five times before she would be leaving. We began our work with the age-old question: Why now? Together, we wondered: What could be going on? Anxiety about the upcoming summer session at the high-pressured university? Confusion about her plans after graduation, only a year away? And there was her boyfriend Ned, who was pressuring her to move in with him after graduation…many threads to unravel. Our sessions flew by. We spent time focusing on her present concerns as well as on exploring the origins of her eating disorder, which had started during her junior year of high school when, immediately after her Sweet Sixteen party she was dropped by her entire group of girlfriends. Initially she was dismissive of this event, but knowing that she had been used as a scapegoat and bullied can be traumatic, I encouraged her to dig down deep. To her surprise, as she stayed with her feelings about that painful period in her life, buried pain, heretofore minimized, emerged. Slowly, she began to understand how her eating disorder was a metaphor expressing what was inexpressible: her isolation, rejection and shame. While she’d been in previous therapy, she had never understood anything about why she’d developed an eating disorder in her junior year of high school—nor had she valued the power of talking. “You really zeroed in on the scapegoat incident,” she said, as she was standing at the door ready to leave our fourth session. “I never realized how alone I felt, ashamed to talk about my feelings with anyone, even my mother. How were you able to know how I’d suffered?” she asked. I was aware I’d been so attuned to her trauma because our own pain is a window to others’ suffering. Sitting with Alyssa’s stories had awoken my own memories of being bullied and teased by a vicious group of girls when I’d been in junior high school. But her question caught me off guard, for self-disclosure is a controversial topic. Although acknowledged to possess therapeutic potential, self-disclosing therapists who volunteer personal information are often characterized as possessing poor judgment and having loose boundaries. I’d been trained to keep my own personal life experiences out of my office, but something inside me was ignited when Alyssa asked me that question. With the goal of normalizing her pain I told her that I had a similar experience my last year of junior high school. “You might have thought that decades later, I would have forgotten all that happened,” I said after sharing my personal story, “But not so.” Recently, I told her, I’d attended the theater and I’d been sitting in the balcony when, just before the curtain rose, I looked down into the orchestra below. To my surprise, I spied my old junior high school tormenter. There she was—the ringleader of the pack of mean girls! Suddenly she looked up at the balcony, must have spotted me, our eyes met and she waved. My stomach dropped and I felt as if a forty-year-wound burst open. The house lights went down, the play started, but I was unable to concentrate on the theatrical performance on the stage. Instead, my mind was filled with images of that miserable year in my life. So many different feelings bubbled up, I felt nervous, powerless, scared, bitter and vengeful—all at the same time. When I stopped talking, I saw Alyssa starting at me, wide eyed. “Thank you for telling me all this,” she said, as she walked out of my office, smiling. Alone in my office, I found myself thinking about Alyssa’s smile. My self disclosure had been intuitive; now I wondered what Alyssa thought, knowing this new piece of information about me. My inner critic was activated, and my mind went wild. First, I felt ashamed about having disclosed my pain. Would she think of me with pity? Would she think of me as a loser? And next, had I overstepped a professional line and violated one of the basic rules of good psychotherapy? As I sat with my shame, reviewing our session, I eventually began to feel a bit more assured. I realized I had intuitively acted from a solid position, attempting to validate Alyssa’s situation by being emotionally vulnerable and authentic. And as my breathing calmed down, I found my mind was wandering back to my torturous 7th grade experience. As I recalled that difficult time, old feelings returned: The every day dread that accompanied me as I walked through the schoolyard gates and passed by the pack of girls, waiting for me with new barbs. In my imagination, the glaring eyes of the ringleader expanded and her jeering sarcastic voice grew louder. I felt a pit in my stomach grow. Why, I wondered did this incident continue to bother me? I thought I had finished processing this experience in my own personal work on myself and yet…clearly something remained unfinished. And as I stayed in this space, another 7th grade memory emerged. I am sprawled across my bed, crying. I’d come home from school feeling miserable and alone: helpless, hopeless, and friendless. Next I see my mother come into my room. She sits down beside me on my bed, put her arms around me and in a firm voice says, “Just stop crying now, dear. You won’t even remember these mean girls a few years from now.” In response, my sobs increased. “This really isn’t such a big deal!” she said, adding, “And if you think losing your best friend hurts, just wait until you lose a boyfriend.” A detailed narrative followed with my mother describing her heartbreak when dropped by her first boyfriend. “Just get over it,” was her message, and being unable to do so, feeling I was making a big deal over something inconsequential left me feeling isolated and unheard, just like Alyssa. Sitting in my office, I realized something new: The pain of 7th grade wasn’t only about being rejected by the tyrannical group of girls: it was about feeling abandoned and misattuned with my mother. In retrospect, my mother may have been attempting to offer me comfort, but in reality, I felt unheard and ashamed, as if I was making a big deal over something inconsequential. At the heart of the 7th grade agony was the feeling of being betrayed and alone with unbearable shame. My pain was about more than feeling disconnected from my friends, but was about being disconnected from my mother—and the comfort I needed. It was about being disconnected from myself as well, told to ignore my emotions, which my mother minimized and devalued. It was about being told to bury my authentic self. And it was about being told to contain and dismiss rather than express my emotions, the very dynamic they underlies the development of eating disorders and a multitude of others problems I deal with in my office, day in and day out. Clearly my self-disclosure had opened me up to something new; it had had expanded my consciousness. My mind went back to our Alyssa, and I found myself wondering how she had been impacted. Most of the literature regarding self-disclosure reminds us that our field is more an art than a science, and the impact of an intervention can only be evaluated by looking at the consequences. The following session Alyssa arrived and within minutes a tear trickled down her cheek. paused to catch her breath. “There’s something I didn’t tell you. I have a secret. ““Thank you for trusting me,” I said and she burst into tears. she said, and we proceeded to process what it had been like for her to have sat in my office with her secret. One part of her, she realized had longed to be truthful, but another part of her was silenced by years of buried shame and the habitual silencing it breeds. I asked if she knew what had allowed her to open up, and she smiled. “You gave me a push.” she said. “A push to be truthful. Thank you.” Then we arranged for a series of phone session over the summer, and the next chapter of Alyssa’s healing began. Thank you for sending me the chapter. Reading your chapter made me think about all I’ve learned in my Psychology class this semester. I know that many professionals frown upon a therapist revealing parts of his/her life to a patient. However, I think that by allowing the patient into your life, you set up a much more comfortable situation for the patient. Speaking from personal experience, the first psychologist that I went to, before I saw you, made me very uncomfortable. In fact, I dreaded going into her office once a week. I always felt like she was judging me, looking at me as just a patient with a problem rather than as a real person. There is much more to my life than just the eating disorder, but none of that concerned her. She was also very secretive about herself. I didn’t know anything about her, and so I was uncomfortable revealing so much to someone who I didn’t know anything about. Most things in life are give and take, and I think I was uncomfortable in giving away so much private information about myself, and not really receiving anything in return… I didn’t want her life story, I just wanted for her to maybe relate something that I was saying to an experience of her own. I wanted to be treated like a real person with real emotions, but instead I felt like this object she was trying to analyze and fix. Alyssa’s letter reminded me of a two lessons we need to remember in working with patients with eating disorders. The first I learned as a graduate student. “Safety before strategy” was a favorite professor’s rule of thumb. First and foremost, eating disordered patients need to feel safe to be able to do deep therapeutic exploration. People with eating problems have generally felt unsafe in relationships with others, which is why they have developed a reliance on food, weight and dieting as safe havens. Part of our challenge as therapists is to provide a safe nourishing environment. Which brings me to the second lesson: “Self-disclosure breeds self-disclosure.” Although our field focuses on the errors involved in self-disclosure, perhaps we should pay more attention to how a neutral therapeutic stance can be off putting, even dangerous. Often we. as therapists. can become overly concerned with finding strategies to address the life threatening behaviors and in doing so, ignore the power that comes from simply being brave, present, genuine and authentic. Although we never know exactly why things happen, perhaps for Alyssa, it is my belief that my personal risk taking tipped the scales and nudged her to be authentic, vulnerable and truthful. Recently I was asked if, after three decades of working with eating disordered clients, I ever get bored listening to stories about food, fat and weight. How can I be bored when listening offers me the opportunity for transformation? How can I be bored when listening brings out the musician in me, for beneath the painful notes of binging, purging, starving and body hatred, I hear the universal themes of isolation, disconnection and self hatred that every person alive struggles with. Perhaps the unending gift of our work as therapists is we help people transform themselves by accessing and giving voice to their inner pain, and in the process we often, when we are willing, have the opportunity to take a risk and tap into our own blocked places, energizing our own growth and transformation. Over and over I remember the wise works of Harry Stack Sullivan who affirmed that all people are more human than otherwise (Sullivan, 1953).